In what's being heralded as a challenge to conventional theories of star evolution, European astronomers report having demonstrated that a magnetar was formed from a star with at least 40 times as much mass as the Sun. 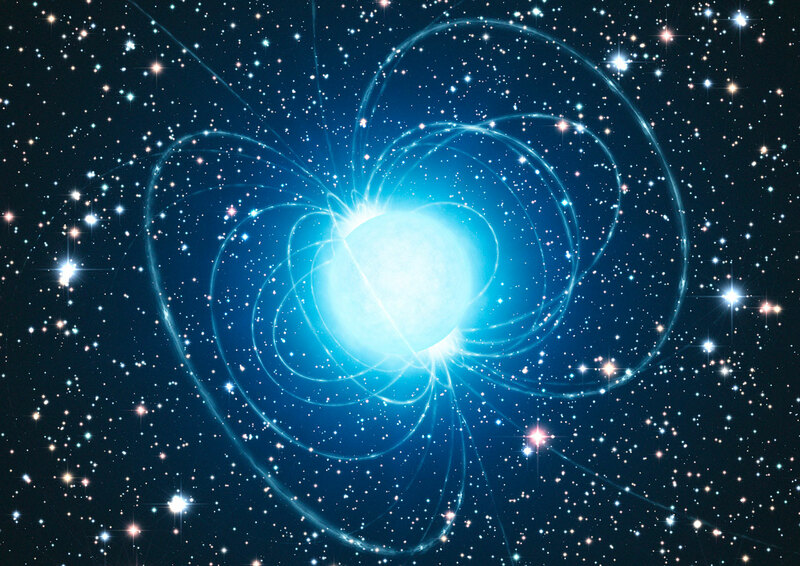 A magnetar is an unusual type of neutron star with a very strong magnetic field. Their research focused on a star cluster 16,000 light-years away from Earth called Westerlund 1. The stars in the cluster are estimated to be between 3.5 million and 5 million years old. In announcing its finding, the European Southern Observatory indicated surprise that a star s0 massive, expected to become a black hole, instead wound up as a magnetar. "Because the lifespan of a star is directly linked to its mass -- the heavier a star, the shorter its life -- if we can measure the mass of any one surviving star, we know for sure that the shorter-lived star that became the magnetar must have been even more massive," said Simon Clark, co-author of the paper in the research journal Astronomy and Astrophysics reporting the results, in a statement put out by ESO. "This is of great significance since there is no accepted theory for how such extremely magnetic objects are formed." The head-scratcher for scientists: Magnetars evolving from stars so massive that normally would be expected to form black holes. The magnetar in question here is estimated to be at least 40 times the mass of the Sun. Scientists have assumed that star masses between 10 and 25 solar masses would become neutron stars while larger solar masses would produce black holes. This wasn't the case here, leading ESO to tease readers with the provocative headline: Just how massive does a star really have to be to become a black hole?